An American actress who made a name for herself in the late 80s and 90s, Susan Sarandon is known for her talented performances as well as her political and social activism. While she might have lost herself a role or two because of the latter — in 1989, she claimed she didn’t think “she’d ever be asked to work with Sylvester Stallone” because of how outspoken she was—she is unapologetic and unashamed to stand up for what she believes in. To be honest, Sarandon’s filmography has only gotten more interesting as time has gone on. Sure, the 80s and 90s are home to some of her most critically-acclaimed roles, but the 2010s have seen her take part in Ezra Koenig’s Jaden Smith-starring anime Neo Yokio, Adult Swim’s Rick and Morty, and (strangely) even a few episodes of the children’s show Skylanders Academy. 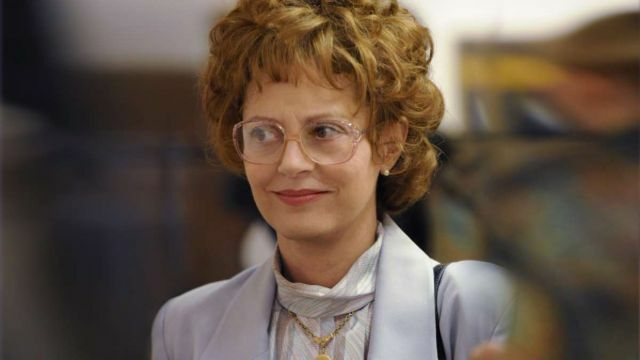 In her decades of acting, Sarandon has racked up plenty of great performances. Directed by science fiction mastermind Ridley Scott (but containing none of the fantastical elements present in some of his most recognized titles), Thelma & Louise stars Susan Sarandon and Geena Davis as two friends who set off on an adventure. After a dark turn of events, they soon find themselves on the run from the police. Sarandon helps reinvent the buddy film here, and it remains the best thing she’s done so far. Easily the most recognizable cult film of all time, The Rocky Horror Picture Show sesames Susan Sarandon and Barry Bostwick as Janet and Brad, a newly engaged couple who break down outside the home of the bizarre Dr. Frank-N-Furter. It’s a timeless musical comedy, continuing to play at midnight screenings in theaters across the country. 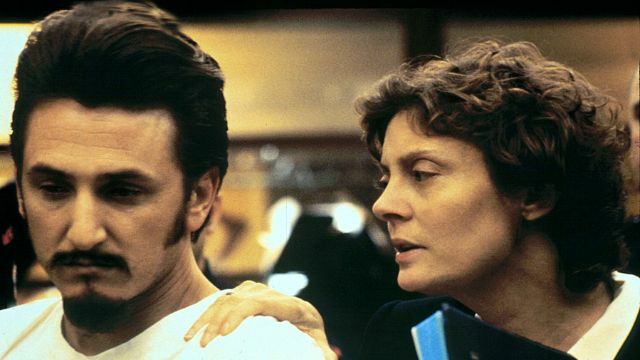 This is the movie that set Sarandon on the path to greatness, and it remains one of her most notable works to date. Based on a short story by Kurt Vonnegut and adapted for the stage in 1982, Who Am I This Time? is a televised play directed by Jonathan Demme. Starring Sarandon and Christopher Walken, the hour-long play is a metafictional look at the actor’s process. It’s a showcase for the greatness of its two leads, but it’s especially impressive for Sarandon — she was still relatively new at this time, and it proved to be a great opportunity for her. Written and directed by actor Tim Robbins, Dead Man Walking sees Sarandon and Sean Penn as a nun and a convicted killer who form an unlikely bond on death row. Like Who Am I This Time? the performances on-screen far surpass the story being told. Sarandon is and always has been a spectacular performer. A sports dramedy about a woman who has an affair with a different minor-league baseball player each season, Sarandon and Kevin Costner end up leading the most unconventional and remarkable baseball movies ever made. 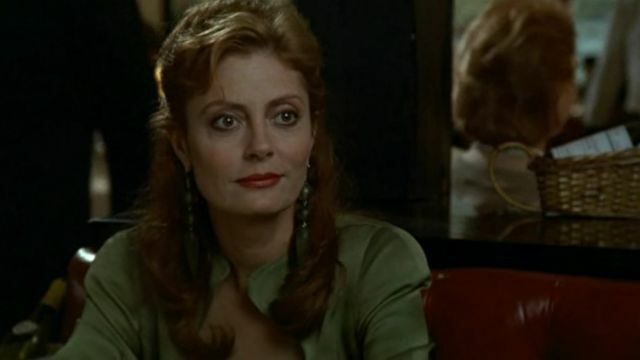 Both funny and serious, romantic and subversive, Sarandon’s character couldn’t have been played by anyone else. 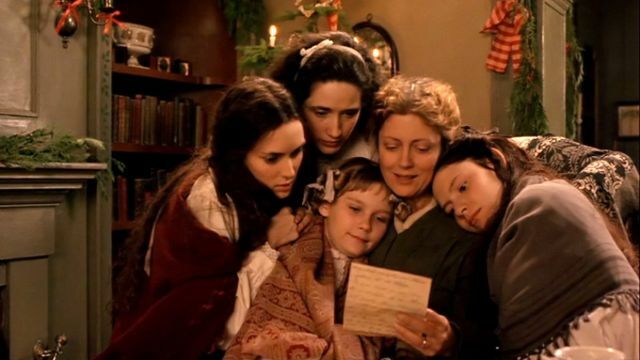 Despite being a classic story remade into plenty of films, Gillian Armstrong’s take on Little Women feels fresh and sparkling with a cast full of incredible actresses. Susan Sarandon, Winona Ryder, Kirsten Dunst, and Claire Danes make up the Marches, a family growing up in post-Civil War America. Sarandon hones in on her natural talents to turn an age-old story into something worth revisiting again and again. A unique little crime-drama from 1980, Atlantic City follows Burt Lancaster and Susan Sarandon as a small-time gangster and an estranged drug dealer’s wife on the run from all sorts of danger. Sarandon shows off her knack for low-key roles, shining brighter than anyone else in the film for the duration of the feature. It’s not as well-known as some of her other work, but it probably deserves to be. 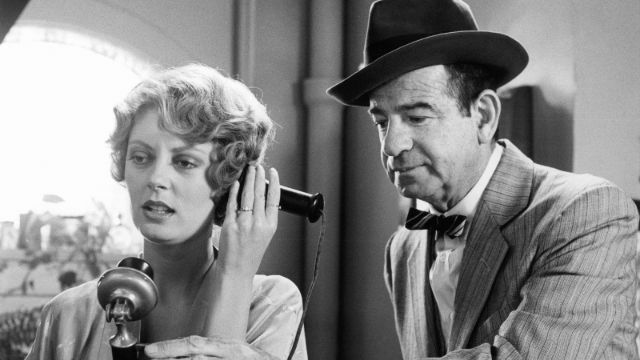 One of director Billy Wilder’s final films, The Front Page follows Jack Lemmon, Walter Matthau, and Susan Sarandon as they tell the story of a tabloid newspaper editor, a top reporter, and a death row inmate as they navigate the ins and outs of the newspaper industry. Wilder is undoubtedly one of the most impressive directors to ever live, and Sarandon is very lucky to have gotten to be a part of one of the late filmmaker’s projects. A TV movie for HBO, You Don’t Know Jack stars Al Pacino as controversial assisted suicide advocate and doctor Jack Kevorkian. Sarandon and John Goodman give supporting performances in this vehicle for the great Pacino. Sarandon gets a good amount of screen time, making it worth watching just to see her in action. Written and directed by Paul Schrader, Light Sleeper follows Willem Dafoe and Susan Sarandon as a drug dealer and his old flame. Schrader is one of the most underrated filmmakers in the game right now, and Light Sleeper is a great example of this. Sarandon is utilized to the best of her abilities here. The post 10 Best Susan Sarandon Movies appeared first on ComingSoon.net.